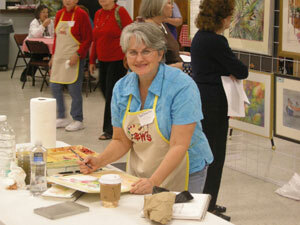 This past weekend was the Brevard Watercolor Society's annual Splash Watercolor Show. 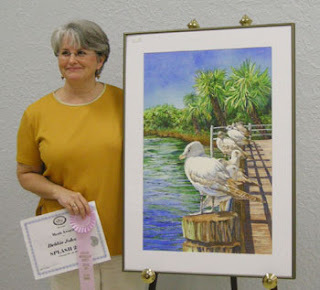 I was the recipient of a Merit Award from the show. What an honor to be among the award winners of such a wonderful show! There is an incredible amount of talent in this community and it's such a treat to see all of the paintings. This painting is titled Lunch Line. Thanks to all of my students who came to watch me demonstrating both Saturday and Sunday!